So I really wanted to make some more birthday cards. I never seem to have enough. So, I decided to create an additional 5 cards with my April Card Kit from Simon Says Stamp, adding stamps from Simon's Birthday Balloons Set and dies from the Balloons die set. I have two of these cards to share with you today. 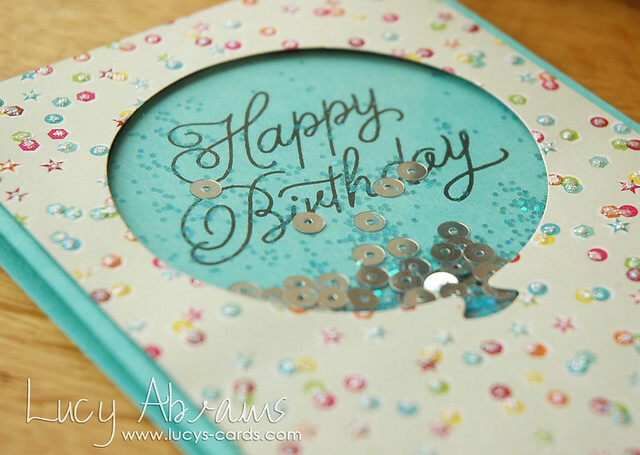 To make this card, I took the sequin patterned paper from the kit, and added a drop of Star Dust Stickles to each sequin. I love customising patterned paper. :) Next, I die cut the balloon, then adhered some acetate behind it. I created a notecard from some Audrey Blue cardstock, then stamped the sentiment. 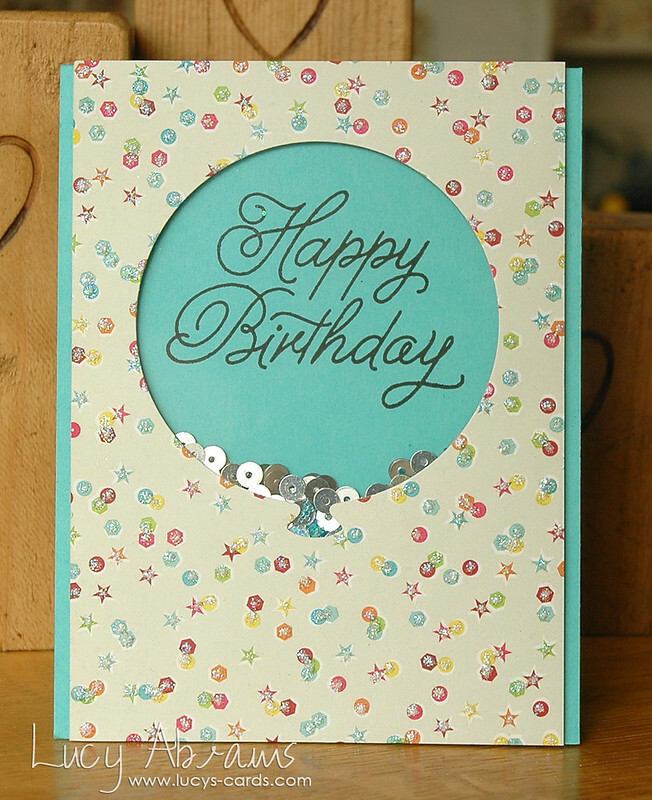 I adhered the glittery panel to the card with foam adhesive, leaving an opening at the top. 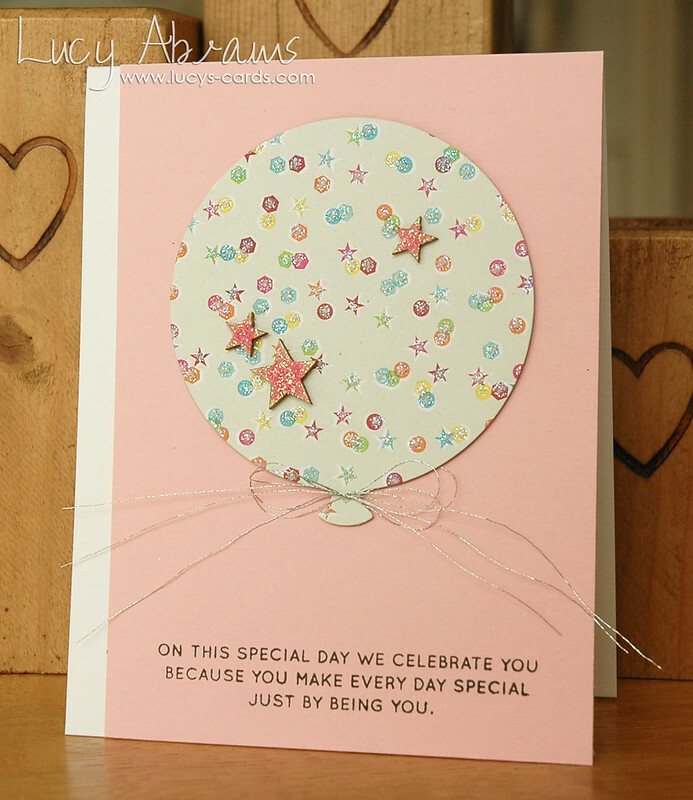 I then filled my balloon with Kelly Purkey sequins and chunky Doodlebug glitter. 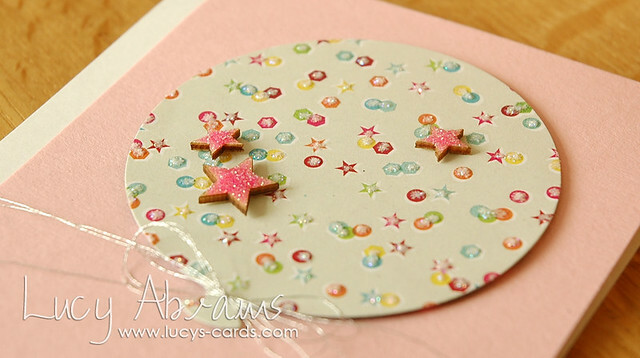 This super simple girly card features the balloon, some wood veneer stars from the kit which I covered in Glossy Accents and glitter, a cute sentiment, and new Cotton Candy Cardstock. (LOVE this colour). I'll be back with more birthday cards tomorrow. P.S. I've just added lots of recently shared cards to my online shop… see them HERE. LOVELY, Lucy! Great idea to add some stickles, definitley upped the "ante" on that pretty pp. Great, great Lucy and I gotta have those balloon dies.